Neuromuscular dentistry enhances traditional dentistry. The term neuromuscular dentistry is used to describe the additional consideration of muscles and joint status when evaluating your bite or occlusion. Occlusion of how your teeth fit together, is affected by several factors – the teeth, the muscles and the temporomandibular joint ( TMJ ). If you are suffering from TMJ, a neuromuscular dentist, like Dr. Escoto & Dr. Mantovani can play an integral role in restoring you to a healthy bite, and eliminating painful symptoms. The causes and symptoms of TMJ disorder ( TMD ) can vary widely. There is no magic one size fits all cure! Determining your best bite position is done through analysis of data collected from electromyography, tens and sonography. We look at how your jaw and muscles are functioning together when you chew, swallow, talk and most importantly rest. This objective data helps Dr. Escoto and Dr. Mantovani determine the best treatment plan for you. November is TMJ dysfunction awareness month in the United States. TMJ disorder affects millions of people of all ages, races and genders. TMJ dysfunction is a painful and often disabling disorder that originates from the jaw joint and can affect the health of the entire neuromuscular – skeletal system through the entire body. TMJ is a disease that takes many different forms and manifests itself in patients in several different ways. 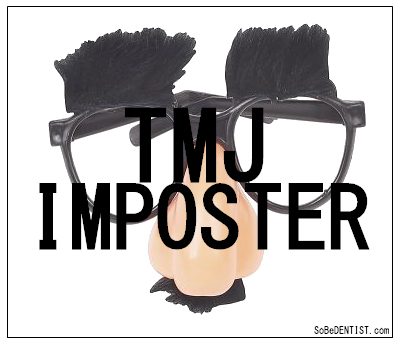 Because of this, TMJ is like an “Imposter,” with the symptoms of TMJ mimicking other diseases many patients are incorrectly diagnosed. 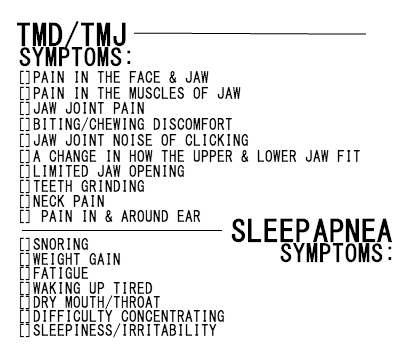 If you or anybody you know is experiencing any of these symptoms related to TMJ dysfunction you are not alone. According to The National Institute of Dental and Craniofacial Research (NIDCR), TMJ disorders are the second most common pain causing muscle & skeletal condition, about 5 – 12 % of the population is affected by TMJ dysfunction. Help us create awareness not only locally with in our cities but globally. Let us educate those suffering with the appropriate research, to ultimately help prevent this misdiagnosed dysfunction everywhere. 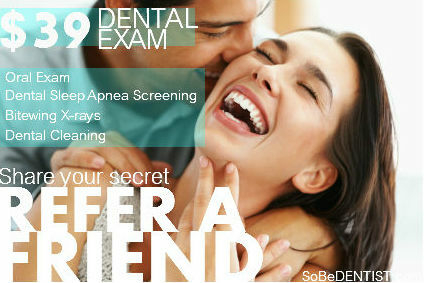 During the month of November SoBeDentist.com would like to offer anyone that is suffering from this delimiting disorder called TMJ, with a complementary TMJ consultation plus a Sleep Screening in our office.